May 7 will mark the first Princeton ‘Jane Jacobs Walk’. Starting at Small World East (244 Nassau Street), we will be exploring Princeton’s East Nassau neighborhood. 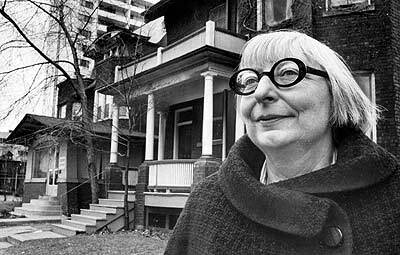 The tradition of the Jane Jacobs Walk began in Toronto, Canada, where Jane moved in 1968 after being arrested for leading opposition to a freeway that was planned through her local park. Jane Jacobs Walks now happen in several countries, commemorating Jane as a community organizer and advocate for livable places. But who was Jane Jacobs? And what would she have made of Princeton? Born in Scranton, PA, Jane moved to New York as a young woman and worked as a reporter, covering cities, which at that time were gripped by urban decay and the flight of many former residents to suburbs. 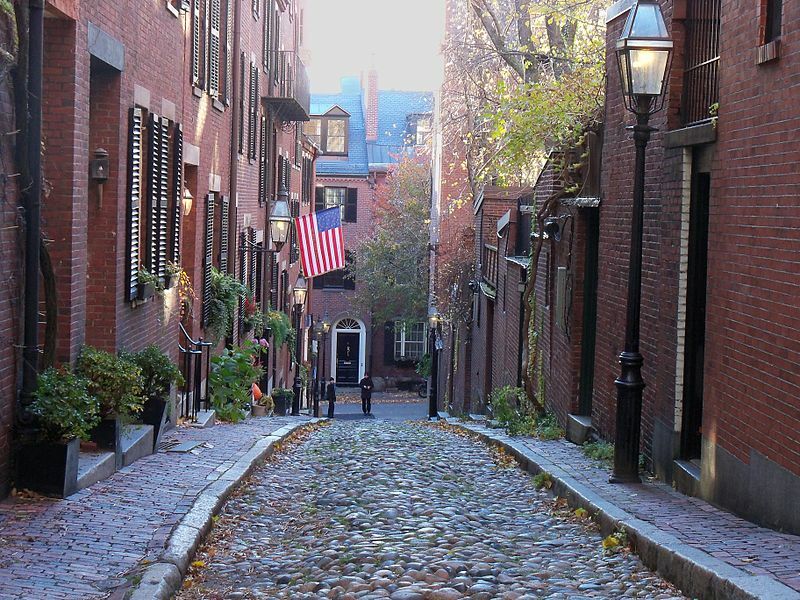 But Jane took a different view: she loved cities, especially historic old neighborhoods (such as Boston’s North end, pictured above), which were considered by many planners at that time to be obsolete slums. At the age of 45, Jane published her masterpiece ‘The Death and Life of Great American Cities’, in 1961. The book rejected much of what made up conventional planning at that time, which Jane saw as the root of many city problems. It also laid out what she saw as the ingredients for a successful city, many drawn from Jane’s observations of life around her home in New York’s Greenwich Village: a mixture of uses, a high level of activity, and a human scale. With her love for traditional neighborhoods, community-oriented planning, and historic preservation, Jane Jacobs’ ideas would resonate with many current Princeton residents. Jane was also skeptical about planning cities around cars, pointing out that we can either have great places or great automobile access, but seldom both. The principles contained in Jane’s writings have continued to be influential, even as the type of top-down ‘urban renewal’-style planning that was popular during her early career has become much less common. On the other hand, in the introduction to ‘The Death and Life go Great American Cities’, Jane warned against applying her principles directly to places that aren’t big cities. As she wrote: “Towns, suburbs and even little cities are totally different organisms from great cities.” Clearly not all of Jane’s writing apply to Princeton, but with the ‘Jane Jacobs Walk’, we will aim to continue her spirit of questioning and observing to consider what kind of planning works in our town. The 1.3 mile ‘walking conversation’ will start at 9 a.m. from Small World Coffee East at 254 Nassau Street. All are welcome and it’s completely free. Look for the tour leader with the rainbow umbrella! RSVPs are not required, but you can let us know you are coming using the form below or by emailing walkableprinceton2@gmail.com. This entry was posted in People, Placemaking, planning, Princeton, Walking and tagged jane jacobs, planning, Princeton, traffic, urban renewal. Bookmark the permalink.